The market has been looking ahead to the inevitable end of the U.S. Federal Reserve's quantitative easing (QE) program with considerable apprehension. Most market observers expect the end of the Fed's QE asset-purchasing program to immediately result in a sharp sell-off in bonds and higher interest rates. This is expected to hit the mortgage-backed securities (MBS) market, where the Fed has been very active, quite hard. As part of a policy to communicate more openly with the markets, Chairman Ben Bernanke and the Fed have been regularly launching QE exit strategy trial balloons into the market to see how quickly they get shot down. The latest exit strategy that has been gaining traction is the idea of "tapering" QE asset purchases so that there isn't a sudden halt to supply of money flowing from the Fed into the Treasury and MBS markets. The markets seem to be pretty sanguine about the tapering idea, although there has been no specific suggestion on timing. Instead, the markets have been concentrating on how the Fed will get rid of all of the assets it has accumulated on its balance sheet during the QE program. Dallas Federal Reserve President Richard Fisher recently offered a stunning assessment about our policymaking central bankers down in Washington. In a talk before a Harvard Club audience, Fisher presented a candid assessment about all the levers the Fed has been pulling in the aftermath of the 2008 financial crisis. And that includes the recently announced QE3. "Nobody really knows what will work to get the economy back on course. And nobody-in fact, no central bank anywhere on the planet-has the experience of successfully navigating a return home from the place in which we now find ourselves. No central bank-not, at least, the Federal Reserve-has ever been on this cruise before." I don't know about you, but the idea that four years and trillions of dollars into this quantitative easing voyage we're still sailing without a compass isn't just appalling. Yet this ship of fools sails on. The problem is, Fisher is right: QE3 won't work. QE1 and QE2 didn't fix this mess. Nor will QE4, QE5, onwards to infinity. What's more, there's a cottage industry of pundits and consultants who'll agree. Trouble is, just like Fisher and his colleagues at the Fed, none of them can tell you why it won't work. That's what we're going to do here today. We'll start by giving you the lowdown on how this nation's central bankers view "Quantitative Easing." Then we'll show you how the Fed thinks QE is supposed to work. Finally, we'll punch some (actually, many) holes in in the Fed's hull by discussing why it's not working. We'll even demonstrate what could still be done to fix this wretched mess. When U.S. Federal Reserve Chairman Ben Bernanke opened the floodgates of easy money with quantitative easing (QE3), Wall Street staged a party. But even though the market quickly jumped to five-year highs, stocks fizzled shortly thereafter. And that leaves investors wondering whether this market has staying power. "The question now is if investors feel brave enough to continue to buy stocks at such elevated levels," Fawad Razaqzada, market strategist at GFT Markets wrote in a note to investors. Investors looking for a safer route should focus on companies that can thrive on their own merits -- even without an intoxicating shot of QE3. Companies that make products we have to have - the necessities of life, in other words -- tend to be more resistant to market ups and downs. Let's take a look at three companies that have delivered steady, reliable returns for decades -- with or without QE1, QE2, QE3 or, someday, QE99. Hoping the third time is the charm, the U.S. Federal Reserve voted on Sept. 13 to launch another bond-buying program, QE3. Equity and commodity markets cheered the Fed's move. Stocks rallied and analysts raised precious metals price forecasts. QE3 differs from the first two rounds in that it is an aggressive open-ended purchase program of $40 billion per month of mortgage-backed securities. The buying is slated to continue until we reach substantial and sustained improvement in the U.S. economy, which won't be a short-term achievement. The program aims to lower long-term interest rates, stoke consumer demand and bring down the elevated unemployment rate. 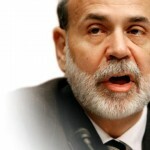 But some opponents think the latest stimulus measure from Fed Chairman Ben Bernanke will fail to achieve any of that. In fact, the QE3 doubters have a lot to say - and anyone with money in the markets right now should pay attention to what could happen. Everything changed on September 13. It's the day Ben Bernanke promised not to take away the punch bowl. Last Thursday, Helicopter Ben announced that the Fed would start buying $40 billion in mortgage-backed securities -- for as long as it takes. He also announced the Fed will keep rates between 0-0.25%, until mid-2015. The goal is to keep supporting the mortgage bond market until the employment level improves "sufficiently." But given that the last several rounds of multi-hundred billion dollar stimulus didn't accomplish that goal, it's hard to see why they'd expect this time to be any different. Consider this: At Jackson Hole just a few weeks ago Bernanke said that, historically, there has only been limited experience with quantitative easing. Therefore central banks, including the Fed, "have been in the process of learning by doing." Did Ben skip all his history classes? Has he ever heard of the demise of Rome or Weimar Germany? More recently, even Argentina and Zimbabwe have had plenty of experience with quantitative easing. Their zealous over-printing led to major devaluation and/or outright currency collapse. Couldn't Bernanke have checked in with Cristina Kirchner or Robert Mugabe? The only real difference, and I'll admit it's a substantial one, is that the U.S. dollar is the reserve currency for the world's central banks. But that won't change the outcome. Instead it may just delay the day of reckoning. In the meantime, it's very likely going to make the situation much, much worse. So what's the Fed really up to? U.S. Federal Reserve Chairman Ben Bernanke never intended his latest stimulus program, QE3, to become an issue in the 2012 presidential election, but he had to know what would happen. In case you missed it, the Fed's third round of quantitative easing entails the purchase of $40 billion of mortgage-backed securities each month until unemployment shows a marked improvement. In other words, for as long as it takes. But with QE3 arriving less than 60 days before a bitterly contested presidential election, the Fed move was bound to get caught up in the campaign. Both sides reacted immediately, with Republicans criticizing QE3 as unnecessary while Democrats applauded. A few Republicans even accused Bernanke of timing QE3 intentionally to boost President Obama's re-election chances. 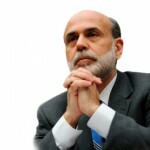 For the record, Bernanke is himself a Republican, appointed chairman of the Federal Reserve by President George W. Bush in 2006 and re-appointed by President Obama in 2010. But with the Fed becoming a GOP bogeyman in recent years (thanks largely to the attacks from Rep. Ron Paul, R-TX), QE3 was bound to become weaponized in this year's increasingly acrimonious campaign. Don't be fooled when each political party throws out the following QE3-fueled lines to get your vote. The traditional safe haven assets of gold (NYSE: GLD) and silver (NYSE: SLV) have surged in price due to the announcement of the latest round of quantitative easing, QE3 - but those aren't the only assets QE3 will push higher. While QE3 might seem harmless to U.S. consumers, it is present every time they gas up their cars or buy food at the grocery store. In fact, all three rounds of quantitative easing have led to higher priced commodities. Whether you realize it or not, QE3 - same as the stimulus programs before it - is adding greatly to the costs of everyday life. QE3 is directly leading to higher prices for oil, food and the cost of imported goods. Over time, that results in a tremendous consumer expense in all product and service categories.